In 2011 I thru-hiked the Appalachian Trail. It was the most difficult and rewarding thing I had ever done. In 2015 I had a daughter. It is the most difficult and rewarding thing I have ever done. As I watch my daughter grow and as I progress into hopefully a competent parent, I find myself reflecting back on my days as a thru hiker and am startled at how similar it is to raising a baby. Don’t believe me? 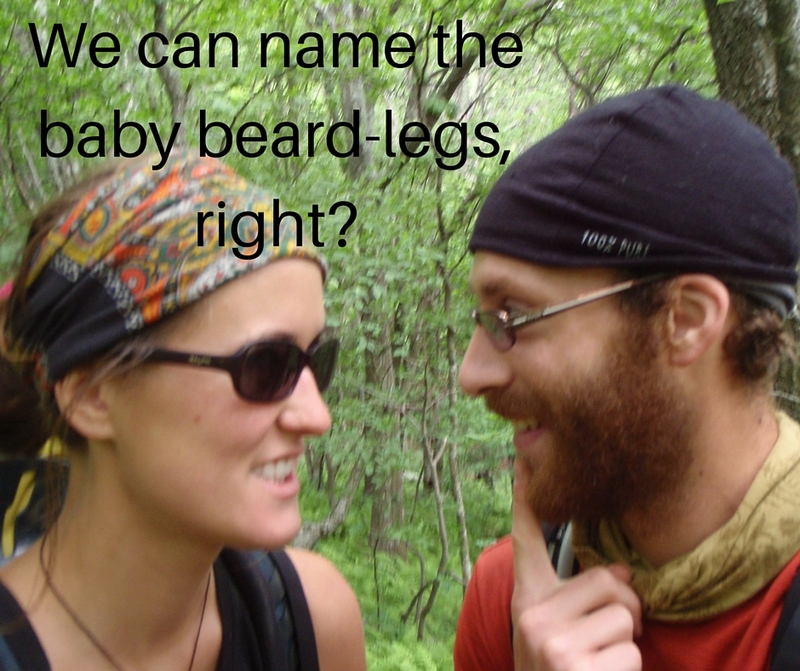 I’ll show you how hiking the Appalachian Trail is pretty much the same as raising a baby from a NOBO’s (north bounder’s) perspective. 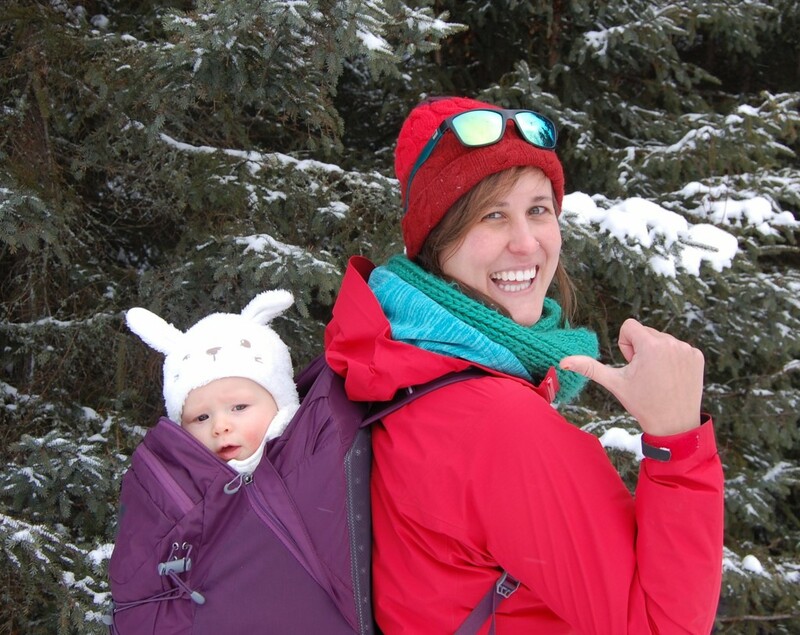 So you decide to hike the AT or you just find out that you are having a baby. Let the countdown begin. Start date and due date, pretty much the same thing. You research endlessly online about your upcoming adventure, obsessively looking at webpages and blogs and sift through tonnes of information. You start gearing up; backpack, tent, and sleeping bag for the hiker; stroller, crib, and receiving blankets for baby. You’re all set for an adventure of a lifetime, ready and waiting…. and waiting….and waiting. Too bad it’s still 12 weeks away. So you are in Georgia, or the hospital, and the big day is here. You have a choice: approach trail or not. Epidural or not. Choices like these should not be given to people who have no clue what they are in for. Either way, you are in for the ride of your life. Now that I have done both I am able to say that the approach trail is exactly like labour. Up and down, extremely painful, and during the whole thing you question why the heck you did it! If you have done either you know what I am talking about. The Beginning…or Is It the End? Finally, you are able to see the end of the torture – but really it is just the beginning. You are at the start of the AT or the beginning of parenthood and you couldn’t be happier. You walk the trail or rock baby with a smiled plastered on your face, because you are just so darn happy! Too bad your body does not feel the same way. Just like Georgia is boot camp on the AT, the first few weeks of parenthood are boot camp for your sanity. I think most AT hikers and parents question the decisions that led up to this point during this time. Too bad there is no time machine to go back, right? Strangely enough thru hikers seem to discuss poop and pooping as much as new parents do in the first weeks. “Does yours look like peanut butter?” was a common question on the AT. Or “Want to use the buddy system?” New parents endlessly discuss and analyze their little one’s number twos and are oddly proud of them. We might be the only two groups of people who openly talk about poop. In the beginning many thru hikers fall victim to the nostalgic feeling of sleeping in the shelters. Then they experience the lack of sleep that occurs as you hear sleeping bags and pads rustle all night. That combined with the obnoxious head lamp user and the guy next to you who snores like a freight train and you have officially felt what it is like to have a newborn in your bedroom. Just about to fall asleep? Well that is exactly when baby throws an uncontrollable fit or when the hiker beside you decides to let the biggest one rip. 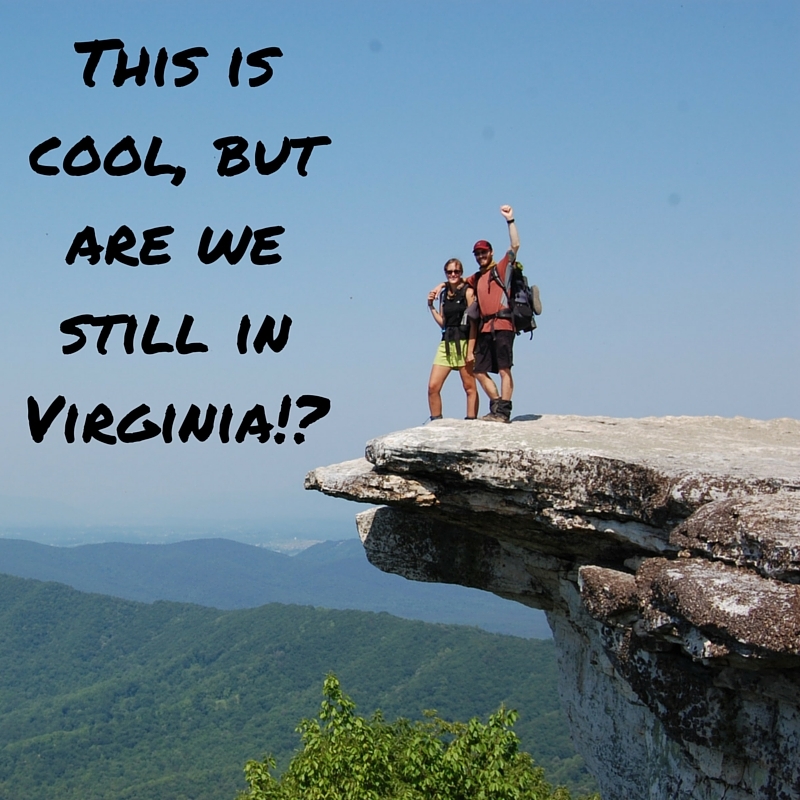 So you have hiked for awhile and have made it to Virginia or you are a few months into parenthood. This is the time when the days are long but the weeks and months are short. Are you actually getting anywhere? Nope, still in Virginia. Is this baby ever going to grow up? Nope, still doesn’t walk or talk….Geeze, the thing doesn’t even smile yet. Time passes slowly each day. Then wham, bam, thank you ma’am, you are in Harpers Ferry or your little one suddenly has armpit hair and is heading out the door (I might be getting ahead of myself on this one, but seriously – they grow up so quickly! Now you have reached that whole part in the middle and as a Canadian, I honestly have a hard time remembering all those states! You are pretty much a super hiker or a super parent and you have it all under control – you are moving along at super speed. You only have the necessities in your backpack or diaper-bag and things seem to be cruising along rather smoothly. You have a good hiking rhythm or baby is settling into some sort of routine that is allowing you to feel human again. The Green and the White Mountains! So hard but so worth every step. Just like trying to climb those huge mountains parents are greeted with a whole new set of challenges, called teething. Just when things get good let the teeth start erupting through your little one’s gums! But along with all those new challenges, you now have confidence in your abilities as a hiker or a parent and the rewards for your hard work are as endless and the views around you (cheesy, I know!). Baby is definitely smiling and may even call you momma or poppa at this point. So worth it! The END or Is It the Beginning!? You reach the top of Mt. Katadhin and at that moment you want to turn around and do it all over again as a SOBO. The same is true with parenthood. In the first 6 months of my daughter life I swore off ever having another child, but you reach a point where everything that was hard along the way just fades away and the memories you are left with make you want to do it all over again. The moral of the story is: If you have hiked the AT you could probably be a parent OR if you are a parent you could probably hike the AT. As they say in Asia: they are same same but different. Love this piece and it’s a great metaphor – the similarities are really there! From the not knowing, to the having to figure it out as you go, to the finding your groove and routine, to dealing with unexpected ups and downs. Enjoyed this! Thanks. I can’t make this stuff up. Having lived through both I have a hard time keeping the experiences separated now! This comparison is only for one child! 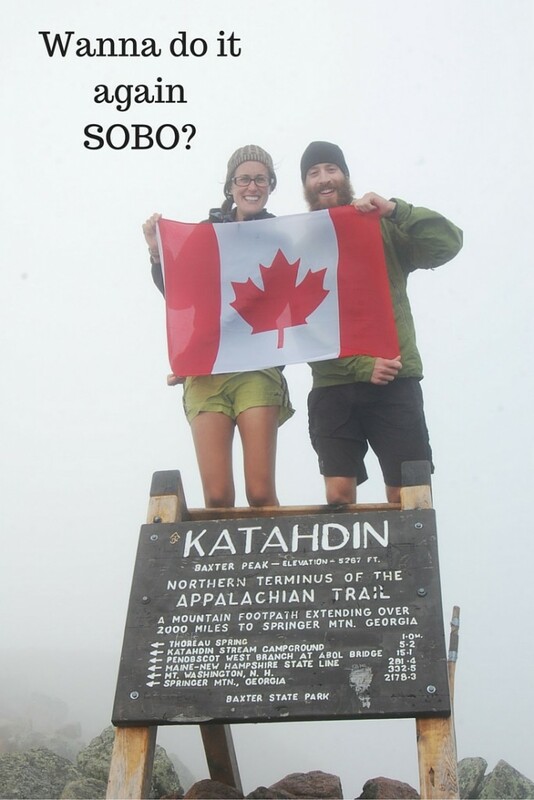 I would think having the second child would be exactly like if you did turn around and hike the AT SOBO right after doing it NOBO. So not only would you be ready to hike the AT but you could probably do it in both directions Rebecca! This is awesome–I’ve actually been working on a tongue-in-cheek piece about hiking the trail as an alternative to motherhood–after more than 18 months of failing to get pregnant, one day on a day hike, thru-hiking crossed my mind and I shrugged: Welp, I do need a project! LOL!